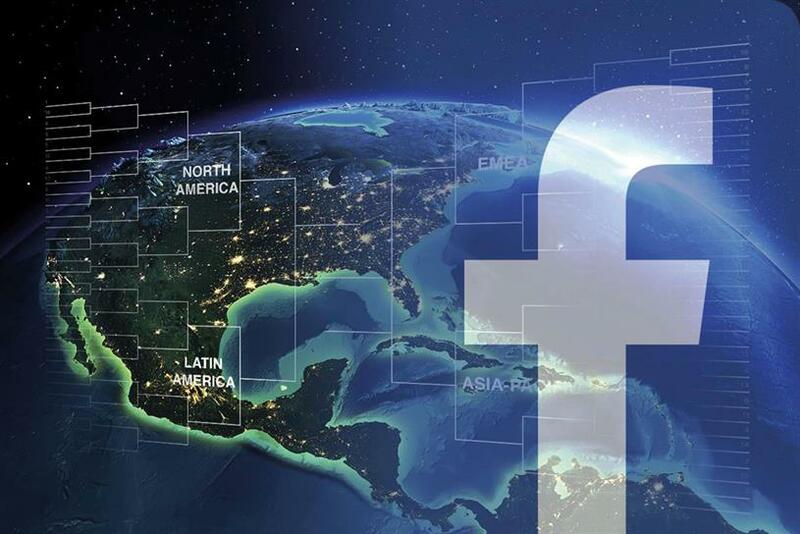 ISBA has welcomed Facebook's commitment to audit and police app developers' past and present access to user data and to share developments with advertisers. The advertiser body has told members that it had a "constructive and challenging meeting" with the social network on Friday, which ISBA called for after last week’s further revelations about the use of Facebook data by Cambridge Analytica. "It is clear from our meeting today that [addressing public and advertiser concerns] is a priority for Facebook," ISBA said in a statement. "Facebook has offered to meet face-to-face with our members and we welcome their openness and willingness to do this. Further details will be confirmed in due course." ISBA added that Facebook had committed to share with it "developments and actions" from an audit of all apps that had access to Facebook data before it reduced their access in 2014 as well as any app with suspicious activity. Facebook announced the audit, as well as its intention to ban any developers that have "misused personally identifiable information", two days before the ISBA meeting. Tell people about data misuse. We will tell people affected by apps that have misused their data. This includes building a way for people to know if their data might have been accessed via "thisisyourdigitallife." Moving forward, if we remove an app for misusing data, we will tell everyone who used it. Reward people who find vulnerabilities. In the coming weeks, we will expand Facebook’s bug bounty program so that people can also report to us if they find misuses of data by app developers. 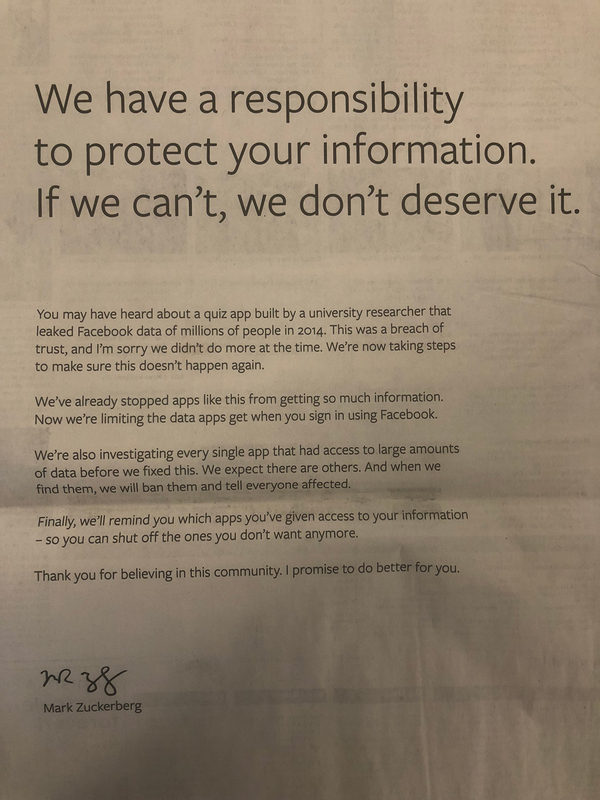 Separately to dealing with ISBA, Facebook has taken out newspaper ads to spread a short letter from founder Mark Zuckerberg to address the public’s concerns. In the letter Zuckerberg apologises for not doing more at the time about the "quiz app built by a university researcher that leaked Facebook data of millions of people in 2014".